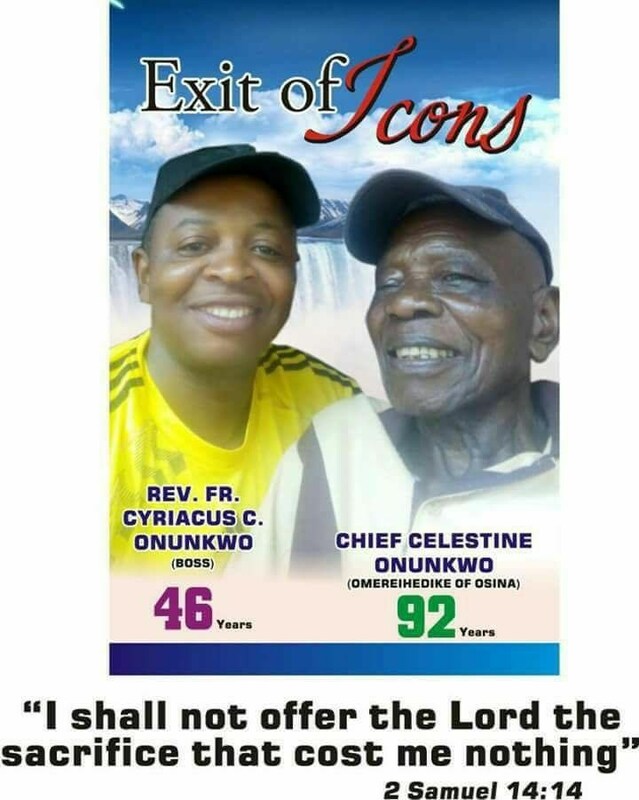 The burial poster of Reverend father Cyriacus Onunkwo, the Catholic priest who was killed in Imo State earlier this month, has been released. The Clergy will be buried alongside his father Chief Celentine Onunkwo. Recall that the Catholic priest was kidnapped from his vehicle in Orlu town in Orlu Local Government Area on the 1st of September by unknown gunmen. Following a manhunt, his corpse was discovered in a bush in Omuma Village after he reportedly suffocated to death in the car booth of the kidnappers. Reverend father Cyriacus was traveling home to arrange for his father's funeral when he was abducted at gunpoint. The Imo State Police command have since arrested some suspects including a former police officer in connection with the kidnap and murder of the clergy.